The local middle school’s garden was overgrown by weeds and invasive species, and students were no longer participating in the garden club. 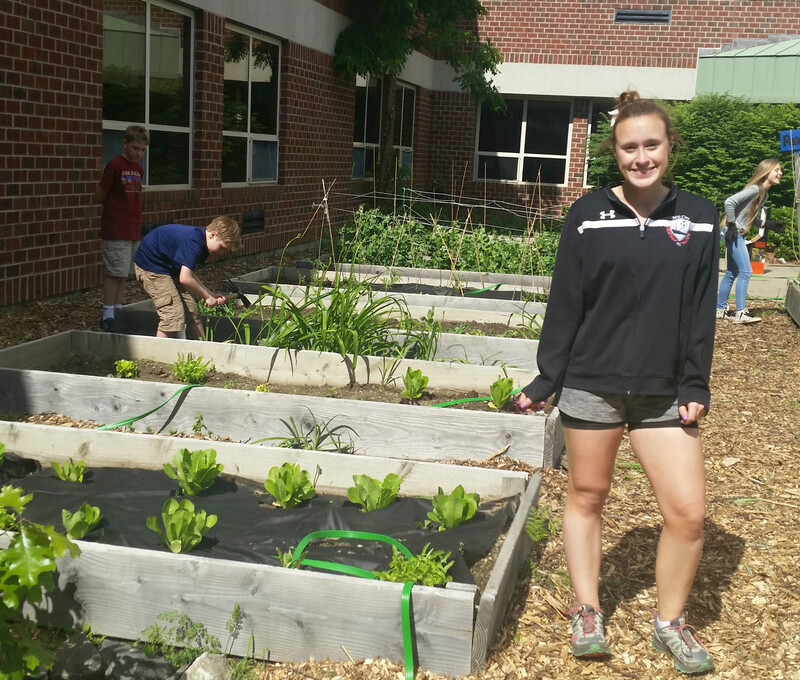 Julia, a Girl Scout Ambassador from Groton, saw the garden as an opportunity to create unity between all of the students, including those in the special education program. First, she resurrected the garden club. Then, she motivated the club’s student members to join her in repairing the plant beds, weeding the overgrown areas, and laying down wood chips to prevent the weeds from returning. They planted bean, pepper, tomato, cucumber and blueberry plants, as well as flowers and other perennials. They also installed benches and tables to encourage teachers and students to enjoy the outdoors. Julia shared her interest in the benefits of healthy eating with the garden club members, and installed informational posters around the garden. She made the garden accessible to everyone by incorporating raised beds with cutouts to allow wheelchair access. The garden club will continue cultivating the garden, and garden maintenance will be a permanent part of the special education program. Julia created a website that tracks the progress of the garden, and has information about garden club meetings, the vegetables being grown, the health benefits of eating vegetables, and the importance of maintaining gardens without the use of pesticides and chemicals. Julia, we support your values of inclusion, health and the environment!